Look for details and create your own compositions. 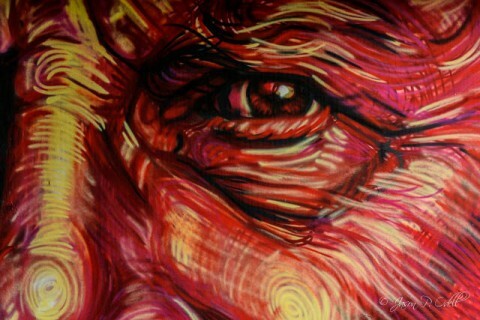 Sometimes, the shot isn’t the entire piece, but details hidden within the artwork itself. Enhance the colors and textures in post-processing to really make your shot stand out. 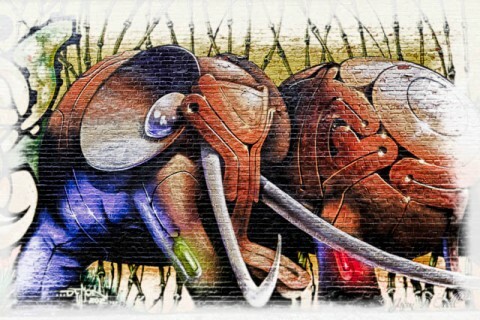 Process your images to enhance the vibrant colors and textures in street art. In Lightroom, use the Vibrance, Saturation, and Clarity sliders to enhance the effect, or go even further by using an enhancement plug-in like Color Efex Pro 4 (Nik Collection) or Intensify CK (Macphun). 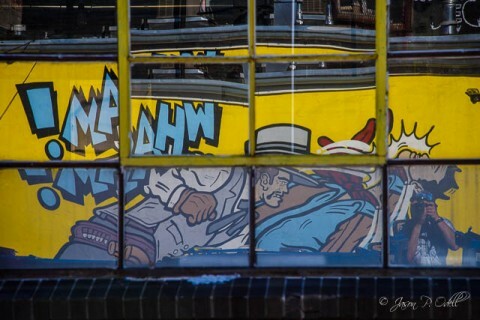 Street art in Denver’s RiNo Art District reflected in warehouse windows. 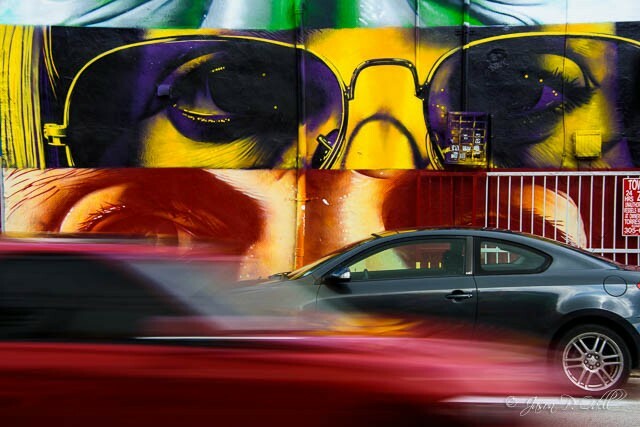 The wild colors and patterns of street art take on even more interesting forms when they are captured as reflections in windows or black cars. I combined a multiple exposure and a single frame in my Nikon D810 to create this composite image. If your camera has a multiple exposure mode, try combining more than one shot to create psychedelic effects. 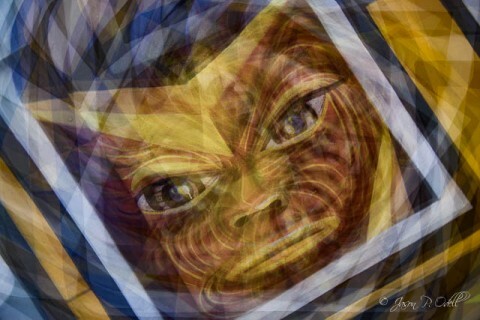 You can also combine images in Photoshop layers to create unique composites. Some cameras will let you overlay two shots to create a composite RAW file right in the camera. Try stopping down and using a low ISO and move your camera during the exposure. 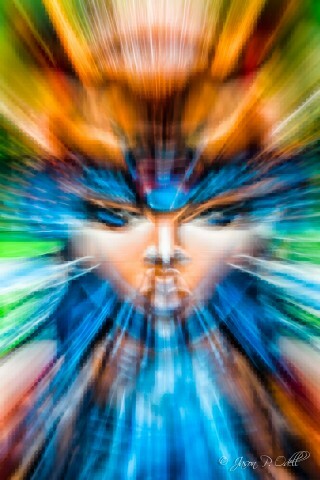 You can try swipes, zooms, and rotation to get interesting motion blur effects. 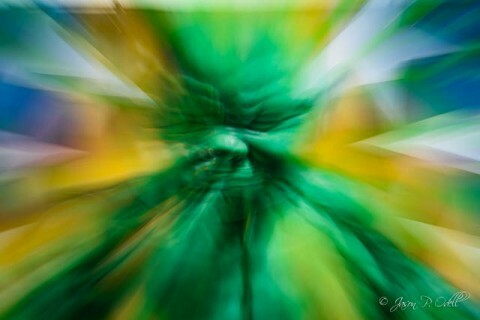 You can also use zoom blur filters in Photoshop if you are unable to capture a long exposure in the field. Get Jason’s complete guide to long exposure photography. 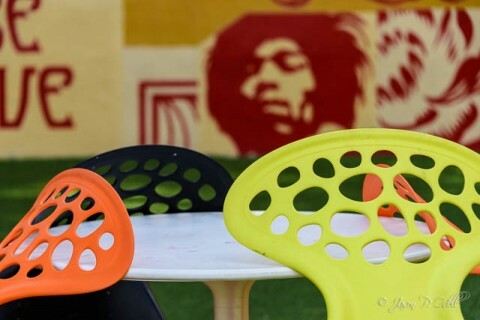 Just about any urban center will likely have street art, but there are a few places that offer specially contracted works that go beyond traditional graffiti. The Brooklyn neighborhood around and under the Manhattan Bridge is well-known for having lots of interesting street art. This once derelict warehouse district in Miami has a fantastic area of specially contracted works which change every year. The surrounding neighborhood of warehouse buildings is covered in amazing art. The area east of the Fremont Street district is covered with some wonderful and colorful art. Check out the area near Ogden Avenue and 7th Street. In the alleys and streets along Larimer Street north of Coors Field you’ll find lots of hidden gems to photograph. 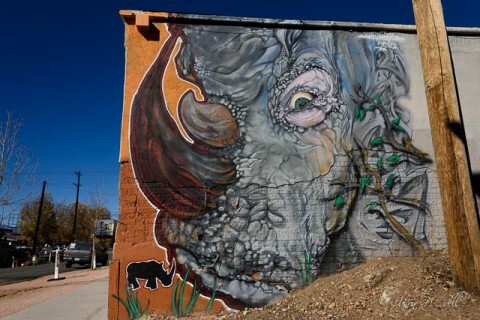 The RiNo Art District in Denver has lots of art if you know where to look for it. 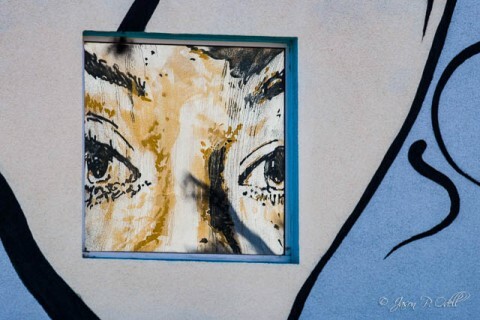 Do you have a favorite spot for photographing street art? Leave a comment and share it! Dallas TX in the deep Elum area has a lot of street art.